Why is Filipino spelled with an 'F' when the Philippines is spelled with a 'Ph'? In 2015, Steve Harvey became entangled in a double whammy: Apart from announcing the wrong winner in that year’s Miss Universe pageant, he also mistakenly addressed our delegate as “Miss Philippians,” pushing him further to the center of Internet ridicule. But for anyone who ever worked in a call center and took calls from irate Americans, this is anything but unusual. In reality, some people from all over the world who are clueless about world geography assume Philippines is the land of the Philippians. After all, Italians live in Italy and Malaysians are the people of Malaysia. So why can’t they call us Philippians or Philippinos? The answer lies in our history, and it’s a tad complex than you thought. The Philippines as we know it was nonexistent in the pre-colonial era. Our ancestors had no sense of nationhood yet. Instead, they were divided into different chiefdoms, each of which had its own leaders and laws. Everything changed when the Spanish colonizers arrived. Ferdinand Magellan was the first one to lay claim to the islands, which he referred to as “San Lazaro,” before dying at the hands of Lapu-Lapu’s fierce warriors. 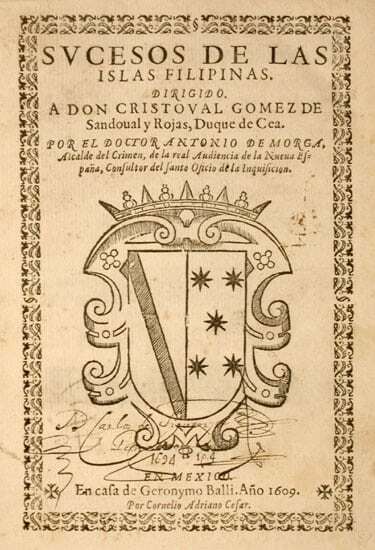 Many years later, Miguel López de Legazpi finally succeeded in putting the islands under the Spanish crown, christening it Las Islas Filipinas, after their King Felipe II. Since Philip is the English counterpart of Felipe, several names for the country appeared in various sources from the 16th and 17th centuries. Among these are Philipinas, Philippinas and Piliphinas. When control over the colony shifted from Spain to the U.S. in the late 19th century, our country was officially called the Philippine Islands. Sometime during the post-war era, we finally got rid of the “Islands,” which then gave birth to the Philippines, a name that remains unchanged. For centuries, Filipino was the term used to call those who live in the Filipinas during the Spanish colonial period. 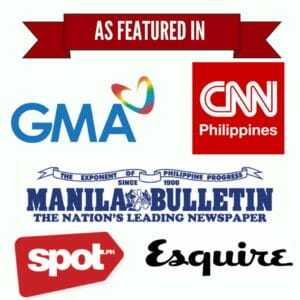 Ironically, it was first used to refer ONLY to the insulares, or Spaniards born in Filipinas. As you may recall, our society back then had an unfair racial hierarchy, with the peninsulares or “pure” Spaniards at the top and the indios–including the indigenous groups–languishing at the bottom. When the Americans took over, they couldn’t come up with a name to call the inhabitants of their new colony, now called the Philippine Islands. 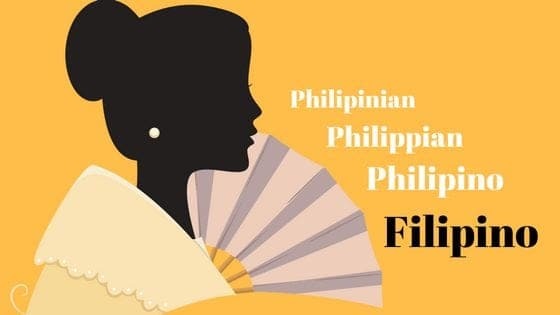 For some reason, they found “Philippian” or “Philippinian” unsuitable, so they ended up adopting the Spanish-era term Filipino. In the 1930’s, as our independence from the U.S. was fast approaching, the Institute of National Language (INL) was established to determine a national language that would unite us as one. Not surprisingly, the group (composed predominantly of Tagalog speakers) chose Tagalog over two other choices–Cebuano and Ilokano. As expected, the decision was soon followed by protracted debates. To solve the problem, the department of education in the 1950’s renamed the national language “Pilipino” which they believed captures the diversity of the Philippine language more accurately. Hence, we became the “Pilipino” speaking the “Pilipino” language. The proponents dug deeper into our history, going as far back as the pre-colonial period when our ancestors used a native script called baybayin, composed of 17 symbols or letters that obviously don’t include “F” or anything that sounds like it. For this reason, they decided that “Pilipino” was a better choice than “Filipino,” a term that constantly reminds us of our long, painful colonial history. Soon, the Pilipino alphabet, otherwise known as the “abakada,” was born. Foreign words containing letters that don’t exist in the native baybayin had also undergone changes: F’s became P’s, C’s became K’s, and so forth. 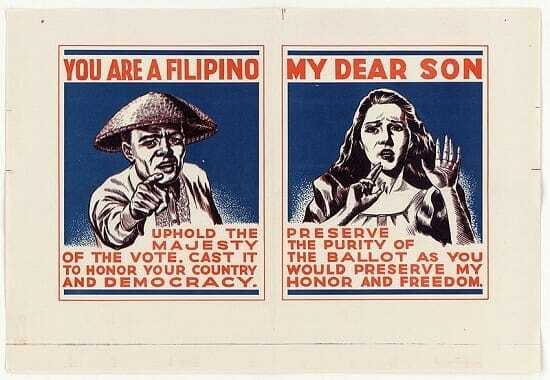 The 1973 Constitution paved the way for the adoption of “Filipino” as the national language. In contrast with its predecessor, this language would now include foreign-sounding letters, such as “F,” as well as loanwords. The change was formally applied through the 1987 Constitution. From the “abakada” alphabet, we now have the enriched version which includes “foreign” letters (i.e. not part of the original baybayin) like x, z, c, f, v and j among others. Once again, we became the “Filipinos” speaking the “Filipino” language. Today, both “Filipino and “Pilipino” are accepted words to describe the language and its speakers. The use of “Philippians” or “Philippino,” meanwhile, continues to reflect a person’s lack of understanding about the Filipinos and the long history of struggle that has made us who we are today. Danico, M. (2014). Asian American Society: An Encyclopedia (p. 354). SAGE Publications. Fujita Rony, D. (2003). American Workers, Colonial Power: Philippine Seattle and the Transpacific West, 1919-1941 (p. xvii). University of California Press. Potowski, K. (2010). Language Diversity in the USA (p. 97). Cambridge University Press.